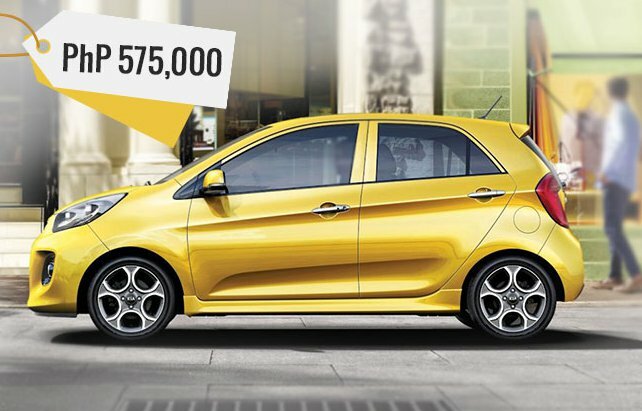 Decent Styling: In the Philippines the Kia Picanto is offered in a five-door hatch but, it is famous for its three-door identity across the globe. 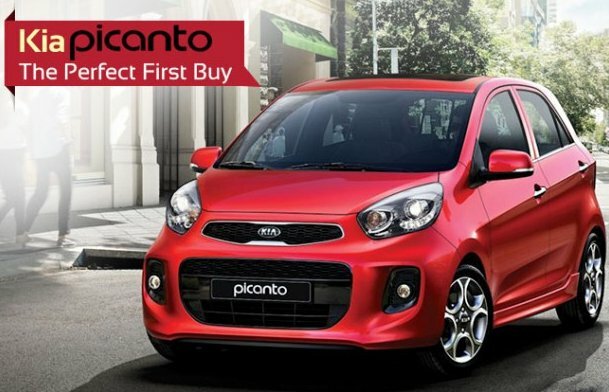 Introduced to rival its sibling Hyundai i10, Kia Picanto has much sportier stance with a sense of maturity. The sharp lines across the body, Kia family face with bold headlights, angular rear lights and overall dimensions measuring 3595 mm X 1595 mm X 1490 mm (L X W X H) makes it a decent city car in the segment. The wheelbase counting to 2385 mm is slightly higher than i10, making a little extra room for the occupants. The 14-inch steel wheels with 165/60 R14 tyre sizes are standard across the 1.0-litre variant, while provision of 15-inch alloy wheels is also there. Not So Contemporary Interior: Step inside the Picanto and you will notice the heavy silver finish work all over the dash and steering wheel. 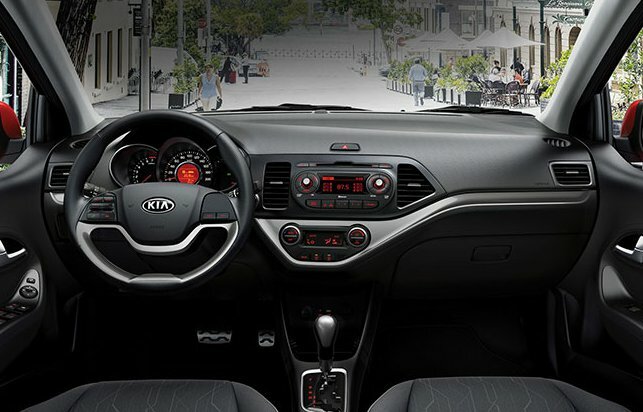 Even Kia has exempted Picanto from the 3-spoke steering wheel which is quite common in the other cars in the segment. Red illumination on meters and black finish interior further add to the sportiness of this hatch. The nicely done ergonomics and significant cabin space further improves the overall experience of the occupants. 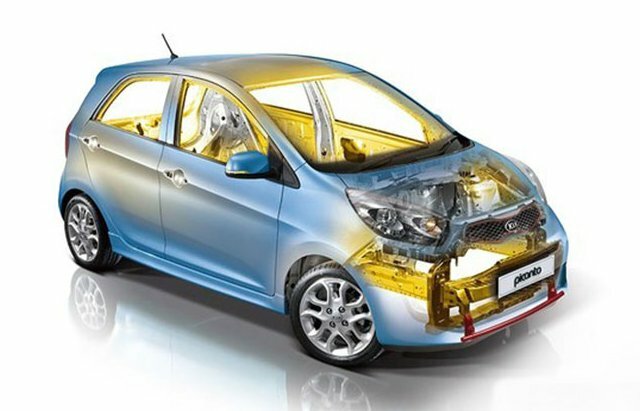 Efficient Engine: According to latest updates, Kia has now restricted Kia Picanto with only one engine option. 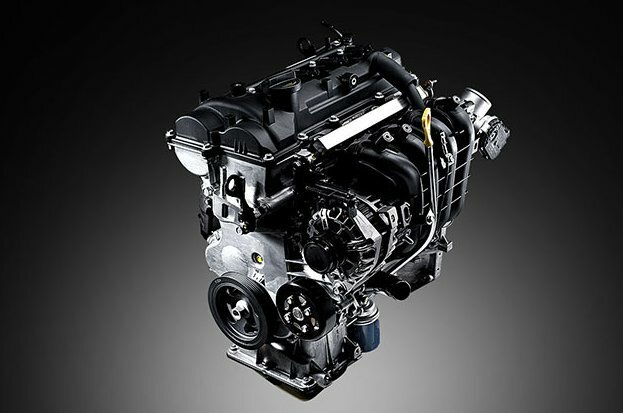 The 1.25-litre 4-cylinder engine delivering 63 kW maximum power. The fuel economy is also quite up to the mark ranging between 15-17 kmpl on city roads. Considering the ride quality, there is nothing much to be excited about but, you can expect a decent manoeuvring within the city with not much cornering at high speed. 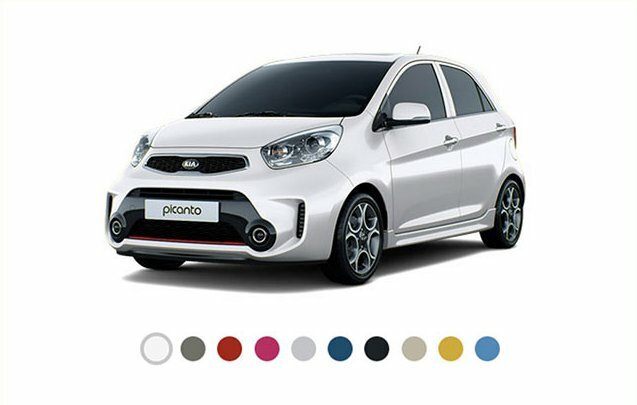 Competitive Features: The South Korean automaker has ensured that Picanto should be loaded with ample number of features to give customers strong factors to go for it. Some of the notable features of this hatch include daytime running LED lights (DRLs), Electronic Stability Control (ESC), Vehicle Stability Management (VSM), and 6-airbag system. The hatchback has also received ANCAP 5-Star safety rating, which makes it a reliable car for your daily commutation. Overall this hatchback has a lot to offer for the price at which it comes that makes it a stand out city-car with low running costs and spacious cabin. 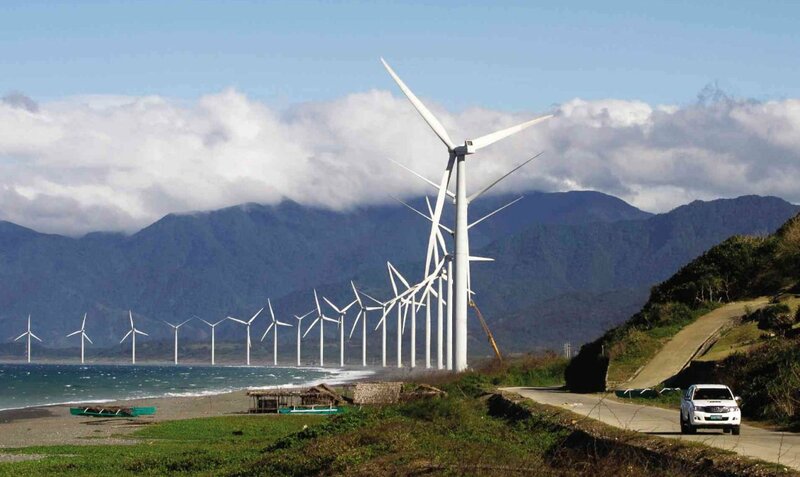 It further leads the league with a 7-year standard factory warranty.